Thanks largely to the Kepler space telescope, astronomers have discovered more than 2,000 planets orbiting distant stars — not half bad considering that until recently we knew of only eight planets in the entire universe, all of them in the immediate neighborhood. The point of Kepler isn’t simply to rack up numbers, though: the ultimate goal is to find worlds similar to Earth — places where there’s a chance that alien life might have taken hold. Those planets could then get a closer look as a new, more powerful generation of telescopes comes on line. But the search for life across interstellar space will still not be easy, and even the most advanced telescope on the drawing boards will have to work hard to suss it out, so it will be key to choose the best possible targets. That’s the reasoning behind a new paper in the journal Astrobiology in which environmental scientist Dirk Schulze-Makuch, of Washington State University, along with nine other colleagues, has proposed a new planet-classification scheme to make the sifting process easier. Actually, they’ve proposed two schemes, designed to let observers slice their searches in two different ways. The first and crudest of their methods is something they call the Earth Similarity Index, or ESI. That’s just what it sounds like: it’s a measure of how closely an alien world matches Earth in terms of size and temperature. The temperature is important because biologists say liquid water is an essential ingredient for life as we know it: nutrients can dissolve easily in water in order to circulate to every part of an organism. Blood, after all, is essentially just water with stuff dissolved in it. The size of the planet, meanwhile, is important because … well, actually, it’s not clear why. It’s true that if a planet is too small, like Mars, it might not have enough gravity to hold on to its atmosphere. Mars itself once did have a blanket of air, but it was probably blasted away by barrages of incoming asteroids billions of years ago. And if the planet is too big, gravity might have pulled in too much of an atmosphere, which would create crushing pressure at the surface. A world four or five times as massive as Earth might well be habitable, but anything bigger than that could cause problems. Still, since Earth is the only place we know harbors life, the ESI favors planets as much like ours as possible. The caveat here, of course, is that we’re still talking about life as we know it — which is usually how these discussions are framed. But that rather cramped standard, says Schulze-Makuch, “runs the risk of being too narrow-minded and Earth-centric.” So he and his collaborators created a second rating system, called the Planetary Habitability Index, or PHI. This one is a lot looser: for starters, it includes planets that have a “stable substrate,” meaning a solid surface of some kind, protected by an atmosphere of some kind. What kind? Don’t ask: any answer you give is already too restrictive. Other criteria for the PHI are some sort of energy source (sunlight, say, or geological heating); some sort of chemical environment that allows the formation of complex molecules; and the presence of a liquid solvent — but it needn’t be water. When you apply these standards, says Schulze-Makuch, Saturn’s moon Titan actually comes out ahead of Mars on the PHI index. “Titan has a dense nitrogen-methane atmosphere,” he points out, while Mars has almost no atmosphere at all. Titan also has lakes of liquid hydrocarbons — mostly methane and ethane. And it clearly has plenty of complex chemistry going on, as revealed by the Huygens probe that touched down there in 2005. Even on a world like Titan, life would be at least vaguely familiar, if only because it would be based on carbon chemistry. But scientists have also speculated on the possibility of life forms based on silicon, and that’s part of the PHI as well. A planet with complex silicon chemistry is “not as high up on the PHI,” says Schulze-Makuch, because silicon isn’t as chemically versatile as carbon. Still, he and his colleagues don’t want to out rule any possibility prematurely. 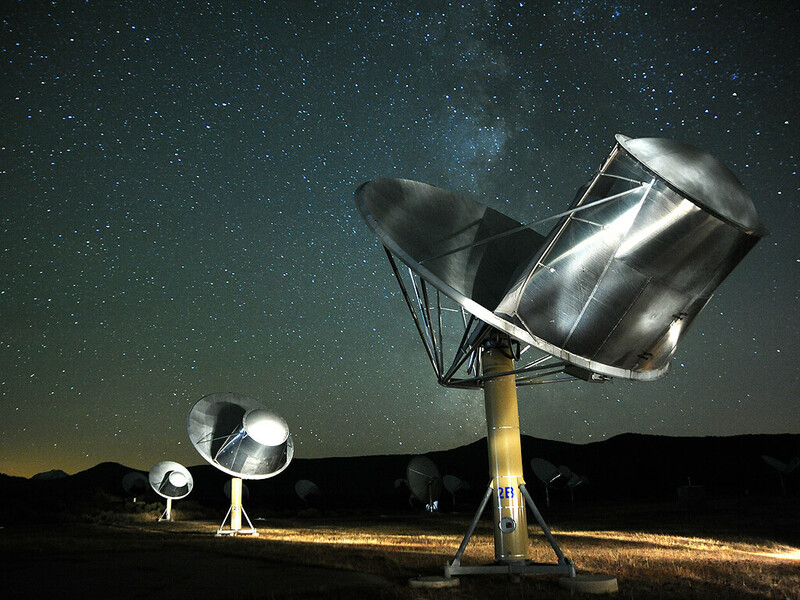 They could, that is, if the powerful telescopes on astronomers’ wish lists actually get built. Earlier this year, a congressional committee recommended killing the James Webb Space Telescope, the Hubble’s successor. And the Terrestrial Planet Finder, an even more ambitious project that might have been able to study alien atmospheres, has been postponed indefinitely. The Webb will probably survive — but without the Planet Finder or something like it, the new classification schemes Schulze-Makuch and his colleagues have proposed will be nothing more than a clever theoretical exercise. With that, in turn, could go our best chance of learning if somewhere out there we have galactic kin.